Steven (Chicagoland, United States) on 12 February 2014 in Landscape & Rural and Portfolio. Amazing photo, with a very appropriate name :) This is one of those photos where you keep seeing more the longer you stare at it. I love it! How wonderfully expressive this becomes - it carries a feeling somehow. Le titre est bien choisi. Superbe cadrage, le rendu est magnifique. L'hiver absolu et la nature se repose! Merveilleuse image empreinte de tranquillité et de douceur. Superb shot - a beautiful snow sculpture! Beautiful scene and clever title. I like your choice of trees to use for this high contrast image. It is very effective. Excellent processing. wonderful capture with lovely pattern! What a lovely natural sculpture! 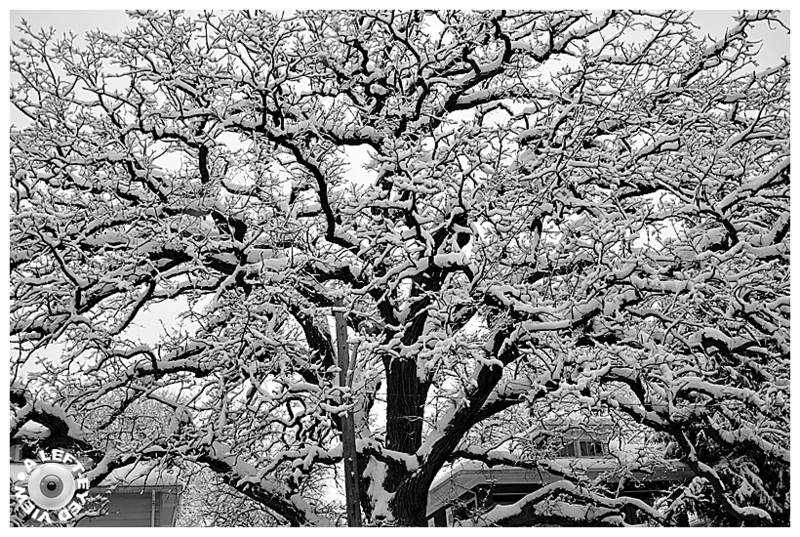 An excellent monochrome that highlights the snow covered branches ... Beautiful scene and great capture !!! Gorgeous image of this beautiful tree with the snow! I love the b&w! Very interesting how you filled the frame with the branches. It looks very abstract. The title fits the image splendidly. The image of the snowed tree is excellent. intriguing look at the snow covered crown of this impressive tree !! !